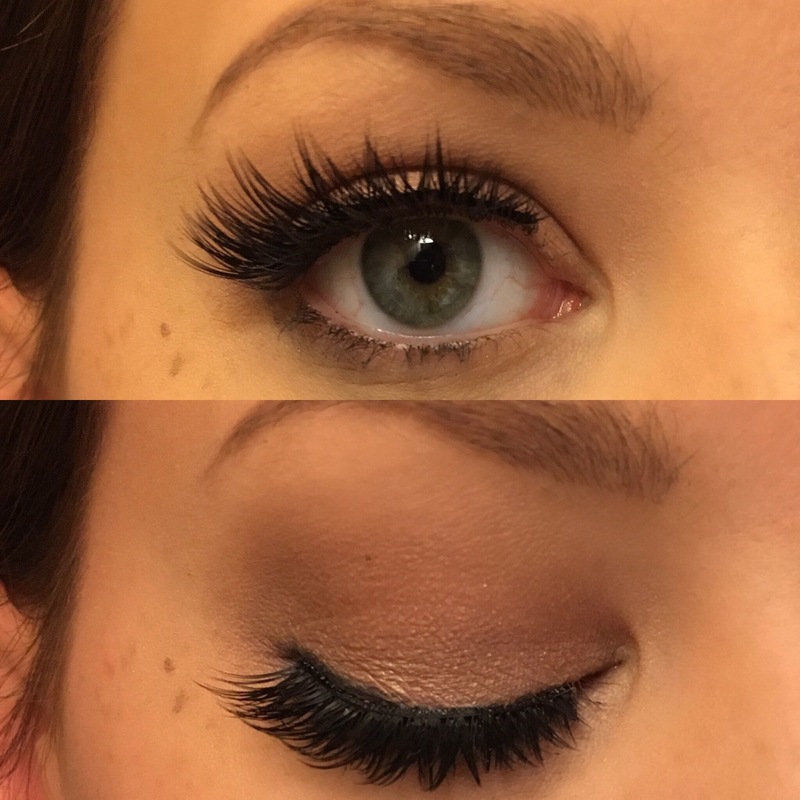 So I absolutely love false lashes, and I love seeing super dramatic lashes on social media. Lashes can make very dramatic eye makeup look so much more wearable and there’s something just so pretty about long eyelashes. But in my experience, I don’t really have a lot of room between my eyes and eyebrows for dramatic lashes. A lot of higher end lashes touch my eyebrows and look absolutely ridiculous. So I usually stick to “natural” lashes from drugstore brands. House of Lashes recently released a mini collection of their most popular lashes. It is a 4-pack of Lashes with mini sizes of their Iconic, Boudoir, Siren, and Wispy lash designs. These minis have shorter bands and shorter lash hairs than the traditional designs. This is great for those with hooded, small, or monolid eyes. 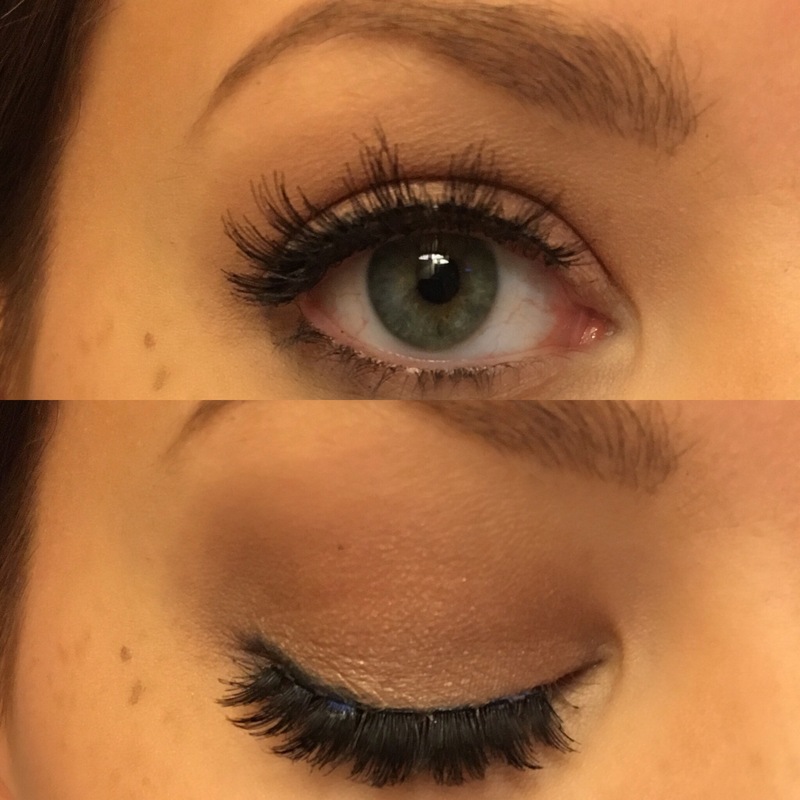 So here are the four different mini lashes on my eyes! For reference I roughly measured my eyes and they are about 1 1/4″ wide, 1/2″ tall, and I have about 1/2″ of space between my eyes and eyebrows when I’m looking straight ahead. (Please excuse my eyebrows in these photos, I popped these on over my 12 hour old makeup.) In the photos I am looking straight forward without lifting my eyebrow and then looking down so you can see the full design and curvature of the lashes. The boudoir mini design is a rounded shape with extra volume in the middle. 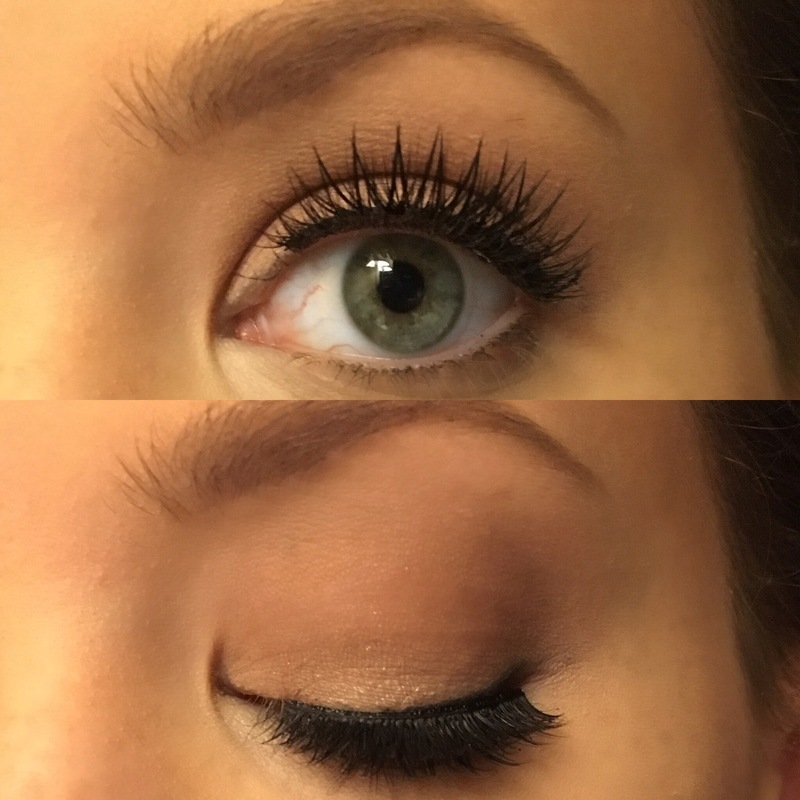 This would look pretty with a halo eye look or any time you want your eyes to look more round and open. 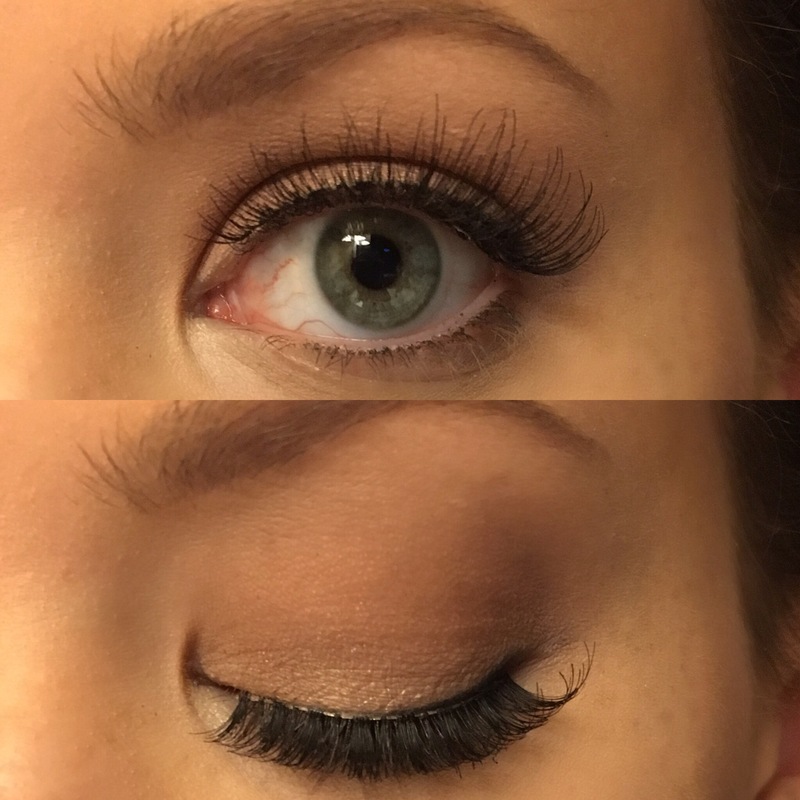 This lash is made with human hair and has a thick band which is a little hard to work with. The iconic mini design is a fanned out crisis cross design. This would look good with winged liner or any time you want your eyes to look more elongated or almond shaped. This also is a human hair lash with a thick band that was a little hard to work with. The wispy minis have a very curly, long, wispy design that adds a lot of length but not much volume. TheY would be good for a detailed eyeshadow look that you want to make sure is seen through your lashes. These are made with synthetic hair and have a clear flexible band that is easy to work with. The siren Mini design has clusters of lashes to create a natural full look. This would look good on a more natural eye look. This is probably the most natural design in the collection and the only one that I could potentially pass off as my real eyelashes. (not that I care, I always admit when I’m wearing false lashes!) These also have the synthetic hairs and thin, clear, flexible band hat is easy to use. So that is the entire collection on my eyes. I hope this was helpful to those of you who find most Lashes to be way too long or dramatic on your eyes! I do like that House of Lashes doesn’t use mink hair and that they are reasonably priced. This mini collection is $35 and the website claims they can be worn eight times. So between the four pairs, that comes out to be about $1 per use which is a great value for such pretty lash designs. Also they offer free US shipping for orders over $25 which is pretty amazing. That’s all my thoughts for now! Oooh, I like Siren – the little bunches of lashes look a bit 60s! Yeah it’s a cute design! ← Sephora Friends & Family Haul!